By: Osmany González Tocabens.10 de agosto de 2011, 10:08Lima, Aug 10 (Prensa Latina) President Ollanta Humala began a series of changes to the military by replacing the chiefs of the army and air force, Defense Ministry sources reported Wednesday. On Tuesday, Humala appointed Gen. Victor Ripalda Ganoza, who was head of the Southern Military Region, as Chief of the Army, replacing Gen. Paul Da Silva, official sources said. Military sources noted that Da Silva had made harsh, public verbal attacks on Humala during the 2006 presidential campaign. The president also appointed Lt. Gen. Pedro Seabra Pinedo as Chief of the Air Force, replacing Lt. Gen. Carlos Samame Quiñones. Gen. Luis Howell was confirmed as head of the Armed Forces Joint Command, along with Admiral Jorge De la Puente, as head of the Navy. The military changes have an institutional nature while respecting the chain of command, and will continue at other levels of the armed forces in the coming days. 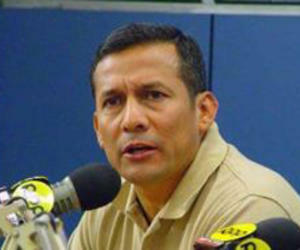 Humala, who was sworn in on July 28, is a retired army lieutenant. His collaborators include other retired military officers, leading the Ministry of the Interior and has chiefs of the National Intelligence Department and Civil Defense, and another as presidential advisor.